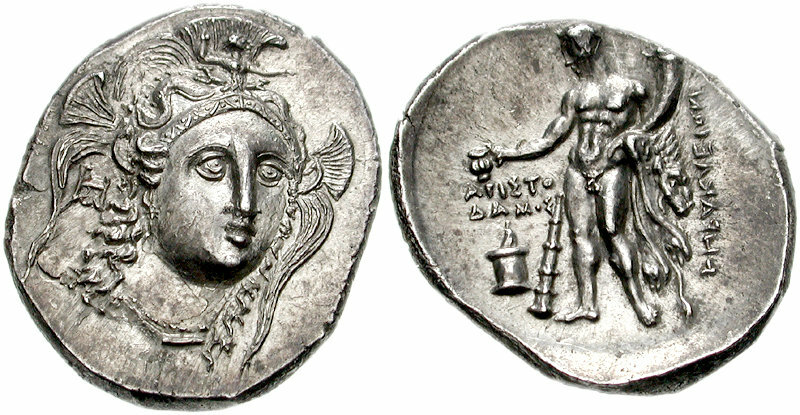 Head of Athena right, wearing crested Corinthian helmeted decorated with Skylla hurling stone. 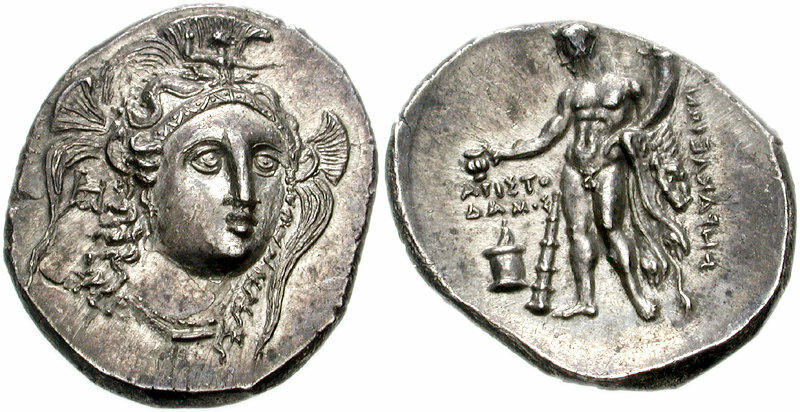 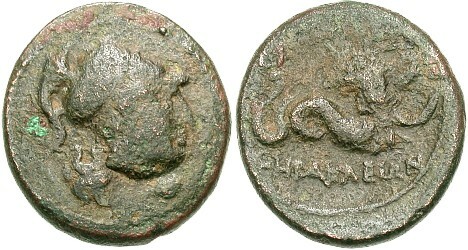 Herakles standing left, club in right hand, bow in left, Nemean lion skin draped over left arm; owl in left field, ethnic right. 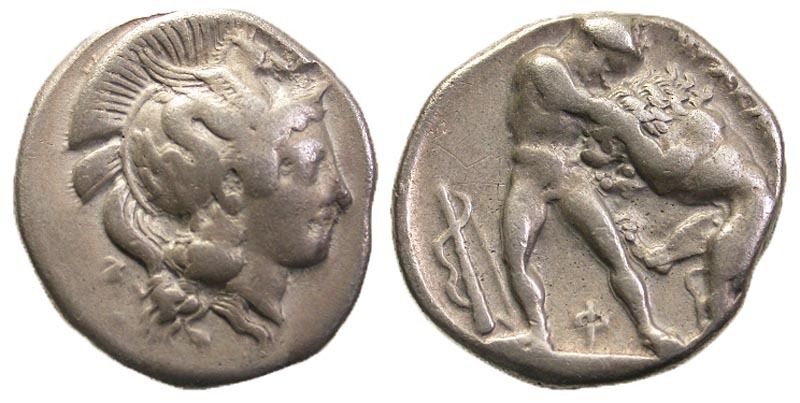 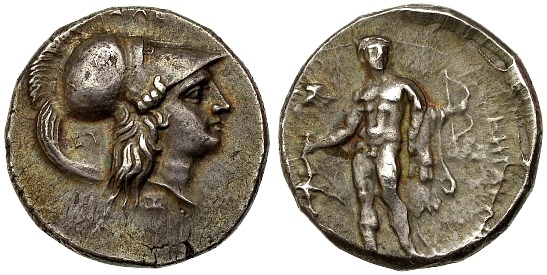 Obv : Head of Athena facing slightly right, wearing triple-crested Attic helmet decorated with Skylla hurling stone; monogram under left helmet crest. 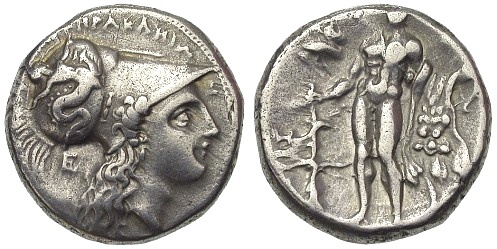 Rev : Owl standing right on olive branch, head facing; to left, club above [|-]; uncertain magistrate's name to right.